Besame Mucho. I adore this song. 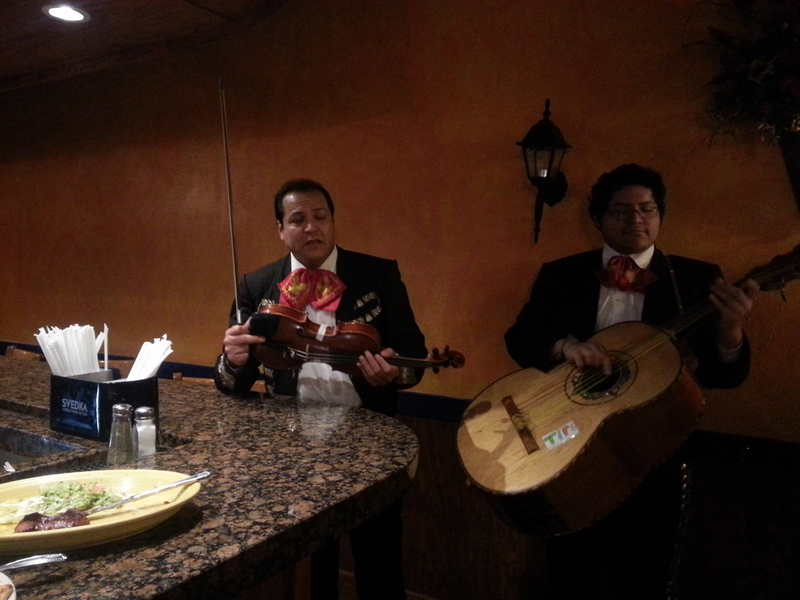 Every time we find a restaurant with a Mariachi band, I make the request. And losing you all over again. Even though Hass and I prefer eating in most of the time, we do have our favorite restaurants. 7 Tequilas in Canton is our most favorite Mexican restaurant ever. I mean like evah, evah. Did I say ever? Last Friday night I just did not feel like cooking. I KNOW! THE HORROR! Although very rare, it does happen occasionally. Mexican sounded really good, and there was no question 7 Tequilas was our destination. MARGARITAS!!!! …and Margaritas we had! 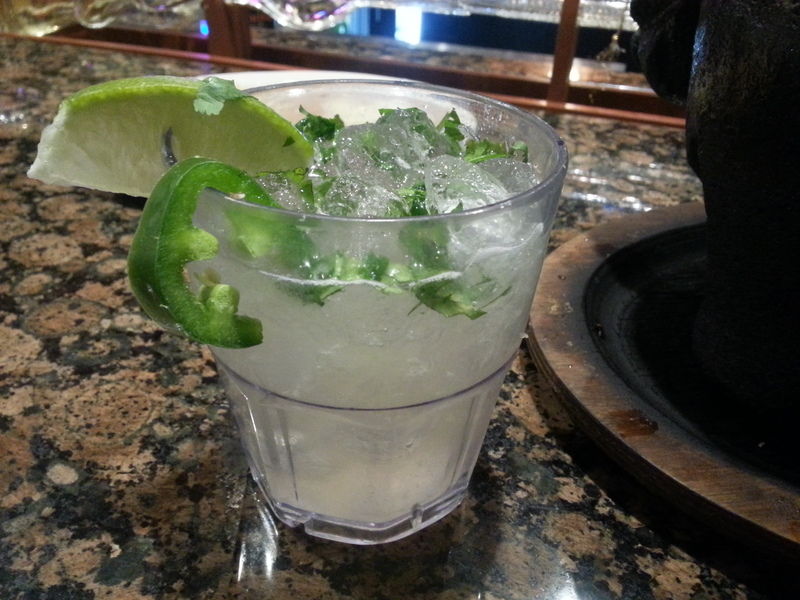 During one of our vacations or outings, Hass had ordered a Mango Jalapeno Margarita with Cilantro. That to date is his most favorite drink. On this night, he asked our bartender if she could make that margarita. She got the manager, Paco, who spoke with Hass for guidance on what he was looking for, and proceeded to make the BEST margarita either of us have ever had. Did I say EVER? He used NO mix, and all fresh ingredients. I have honestly never tasted a margarita quite like that one. Close your eyes and one sip would put your hiney right on the beach of the Mexican Riviera. I am not even kidding. LOOK. AT. THIS. I know. Happy tears. All happy tears. SPECTACULAR. I never want margarita mix again. Not ever. And isn’t our bartender just as cute as can be?? This is Anai. Go see her. 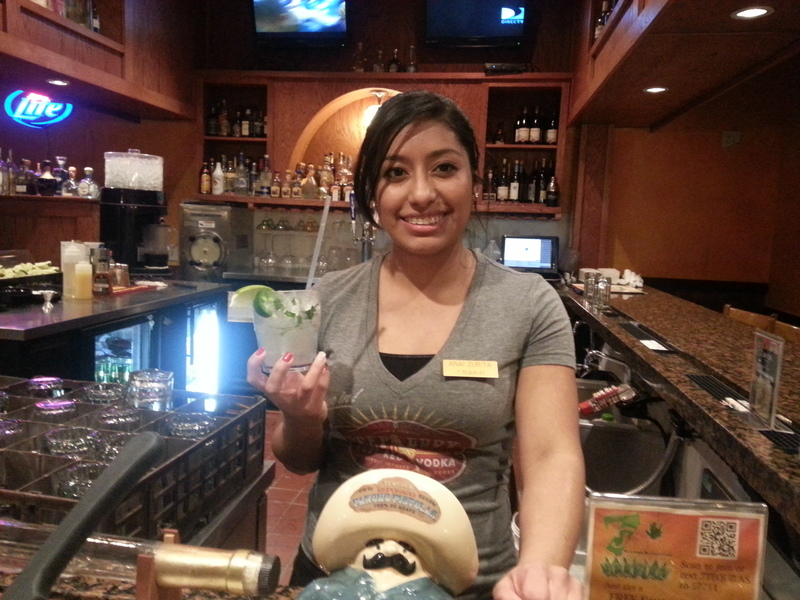 Ask her to make a Jalapeno Margarita for you. You won’t regret it. Trust me on this. One of the coolest things about 7 Tequilas is if you have no idea exactly what you’re in the mood for, just ask Paco. As we were sipping those amazing margaritas, we asked him his recommendations for dinner. Why wouldn’t we? It’s HIS restaurant. His recommendation of the El Molcajete was perfect. 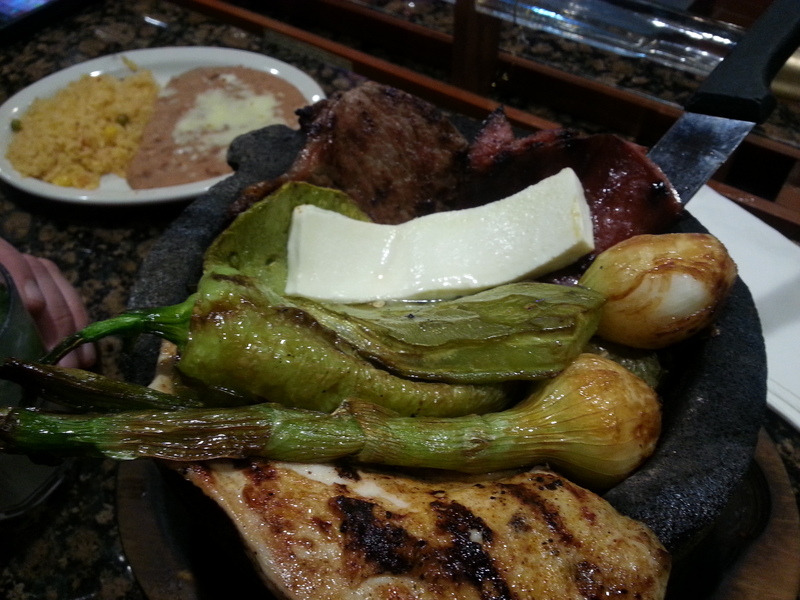 It’s a huge cast iron pot full of grilled vegetables, chicken, steak, Chorizo, shrimp, cactus and Mexican cheese. It’s served with warm tortillas, salsa and beans. It was so good. No words. It was huge pot, but it didn’t stand a chance against our appetites! This was an amazing dinner, with some pretty amazing people. Thanks so much Paco and Anai for a great date night! Will you go out with us again? I love second dates. Bon Appetit y’all! You can check out 7 Tequilas on Facebook!